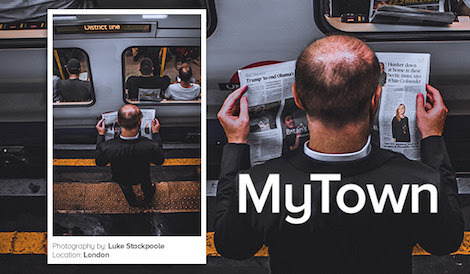 Clear Chanel UK launched MyTown last year  to create something visually impressive that resonated with the public and the advertising industry. In September 2017, it all culminated in the UK’s Largest Outdoor Exhibition of Street Photography  and was deemed a great success by the industry as a whole and all involved. No surprise then that it is back. The competition closes at 11.59pm Sunday November 11, 2018. More information can be found here .